How long have you been fighting an uphill battle to grow healthy, green grass on the shaded parts of your property? Sod naturally loves the sun and thrives in its heat, so sustaining sod in the shade requires diligence and strategy. What Does the Shade Scale Say? The Shade Scale helps you visualize which types of sod might best match the levels of sun and shade on your property each day. Bahia sod demands the most sun and simply cannot grow without full sun exposure every morning and afternoon. Ivy, on the other hand, can be used as a ground cover that thrives in near total shade. Shade tolerant grasses offer many exciting benefits, but they are very prone to disease when first installed. This is why it’s critical to delay installation until cooler weather. Otherwise, the harsh Florida heat will trigger disease and ruin your brand new sod. The experts at Council Growers Sod, located in Southern Hillsborough County, aren’t just trying to make a sale. 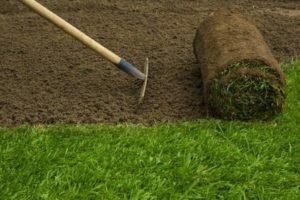 They are here to help you understand the variations of sod and find the type that best meets the needs of your property. The Council Growers Sod team only sell what they grow, so you can trust their insights. Call (813) 633-8665 to learn more about the sod products and services offered by Council Growers Sod.